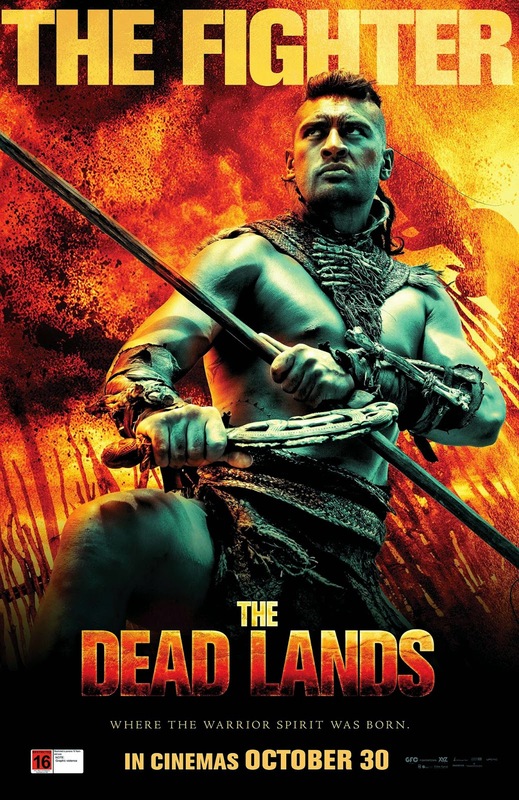 I saw this promotional picture for the movie called 'The Deadlands' and noticed the patu in the hands of actor Te Kohe Tūhaka. It looks like it was modelled on the Ngāti Pāoa patu called 'Te Korotini'. I have added a link at the bottom of this post to an article in the Journal of the Polynesian Society which discusses 'Te Korotini'. The article is by George Graham and the source for the iwi information is Tukumana Te Taniwha of Ngāti Whanaunga. (An image of Te Korotini appears at the end of the previous article, on page 130). THE ORIGIN OF TE KOROTINI. It is stated that “Te Korotini” was made by an artist named Tau-hangi in the times of Te Wharetuoi, about 1725 A.D. He was of the Ngati-Whanaunga people of Wharekawa. It was formed from the bone of a whale which was stranded at Toka-roa (Long Reef), also called Te Ara-pekapeka-a-Ruarangi (The entangled pathway of Ruarangi). It would appear that this tribe were on their annual summer shark-fishing visit to the Waitemata, when the whale was seen by them from their camp at Onetaunga (near Kauri Point). A canoe party at once set off and secured the prize. In olden days whales frequently visited this harbour and became entangled on the above and other reefs. There have been several instances in recent times; one large whale even visited the Upper River and came to grief there some few years ago. SOME HISTORY CONNECTED WITH TE KOROTINI. In the days of Te Tiwha, son of Te Wharetuoi, there was much warfare between Ngati-Whanaunga hapu of Ngati-Whanaunga) in their pa at Tapapakanga (on the Wharekawa foreshore) at what is known nowadays as Ashby's. The Ngati-Puku with the connivance of some of the Ngati-Paoa chiefs, escaped by night and fled inland. They left several old people in the pa. One of these was one Te Korotini, who was slain. He was wearing suspended round his neck this historic implement. Hence it got its full name “Te Kaki-haehae-o-Te-Korotini” (The slashed neck of Te Korotini), descriptive of that old man's fate. When the Tamaki pas were besieged by Ngapuhi (in 1821, A.D.), the Ngapuhi chief, Rewa, being anxious to save the doomed people, came by night to the ramparts of Mauinaina and urged the Ngati-Paoa to escape forthwith, as the pa would be assaulted at dawn. The chief Rauroha and others decided to accept the hint, among the escapees being Te Whaka-pakanga, the father of Te Hinaki who was directing the defence of the pa. But Te Whaka was severely wounded in his flight, and died near Tuakau. He gave “Te Koro-tini,” then in his possession, to a mokai (slave attendant) to deliver to his family. This trust was duly carried out, and “Te Korotini” remained in Ngati-Paoas' hands until these times.